Lisbon Portugal is a vibrant European city with a rich history and numerous sights to entice visitors from around the world. Here you can find an ancient castle, ruins from a catastrophic earthquake that decimated most of the city, hillside colorful neighborhoods where music plays late into the night, and gastronomy that has attracted the attention of foodies and wine lovers worldwide. 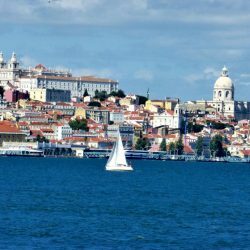 In fact, Lisbon is currently ranked among the fasted growing tourist destinations in the world. Part of the appeal is that a European vacation here can be had at a fraction of the cost of visiting other popular cities such as Paris, London or Rome. 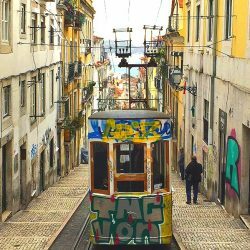 Here is a list of best things to see and do in Lisbon if you get the opportunity to visit. 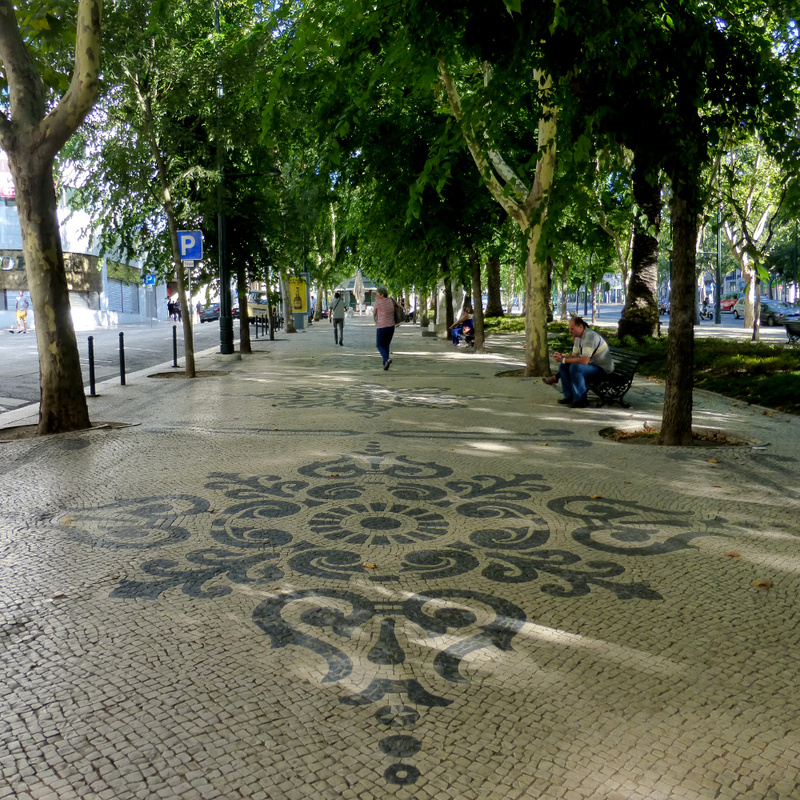 The first thing to see in Lisbon is as easy as watching your step. 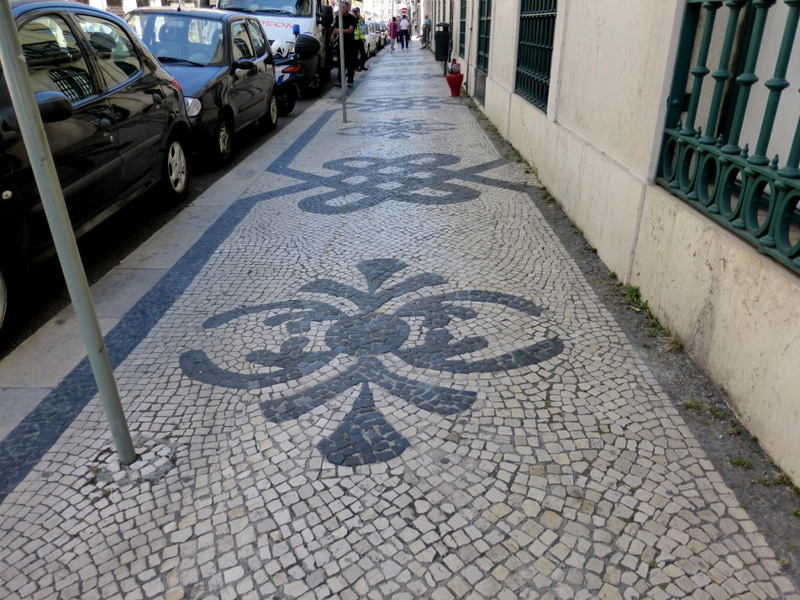 Some of the most amazing artwork in Lisbon is actually in the intricate designs on the sidewalks throughout the city. 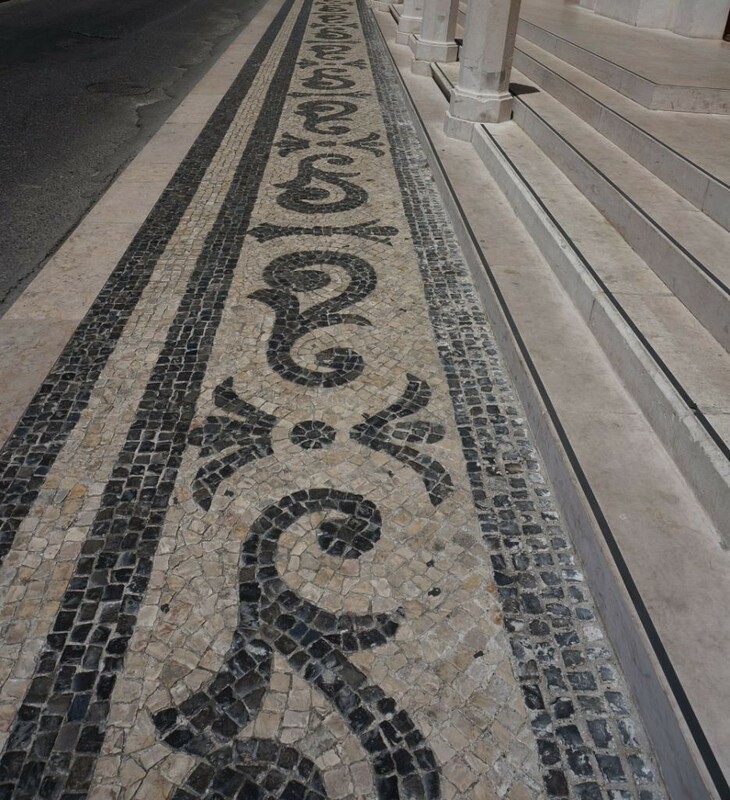 The black and white designs, made with basalt and limestone, are constructed in an extremely labor intensive process by Portuguese craftsman (calceteiros). Unfortunately there are few new apprentices to take on the skill due to the low pay they receive for their work. Hopefully this scarcity of workers doesn’t result in the city eventually abandoning the incredible artwork in favor of simpler streets. Be aware that the shiny stones can become extremely slippery when wet, so watch your step on a rainy day! 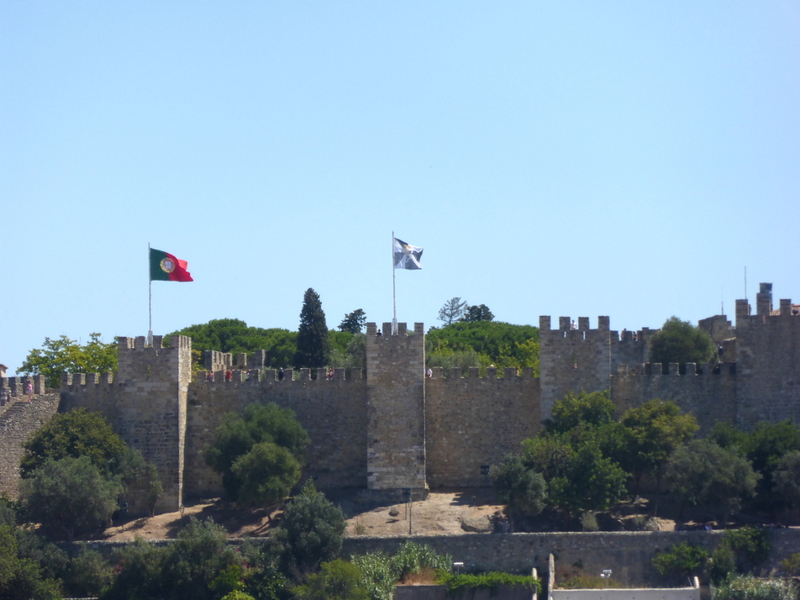 Set on top of one of the famous seven hills of Lisbon is the Castle of Sao Jorge (Castelo de Sí£o Jorge). Some of the interior structures date back to the sixth century. And since it is on top of Lisbon’s highest hill, the views are also some of the city’s best. 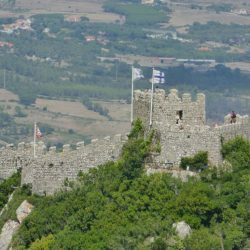 The hike to the castle is a bit of climb, but you can also grab tram to the top. During the day you can see remnants of the parties that occurred during the evening before. The nightly fest starts about 11:00 p.m. and rolls down the hill to clubs that continue on until 5:00 a.m. the next day. The bars there are very small so much of the jovial party takes place in the narrow streets where you can hear the lamenting fado music playing in the background. How About Some Wine Tasting? Need a break from walking up and down those hills? Grab a seat at the Castilo Wine Bar located just below the Caste of Sao Jorge. Here you will get an education about each of the wine growing regions in Portugal and the characteristics of the wines produced within them. After getting an idea of what types of wine you enjoy, you will be offered a tasting of two wines before making your choice. 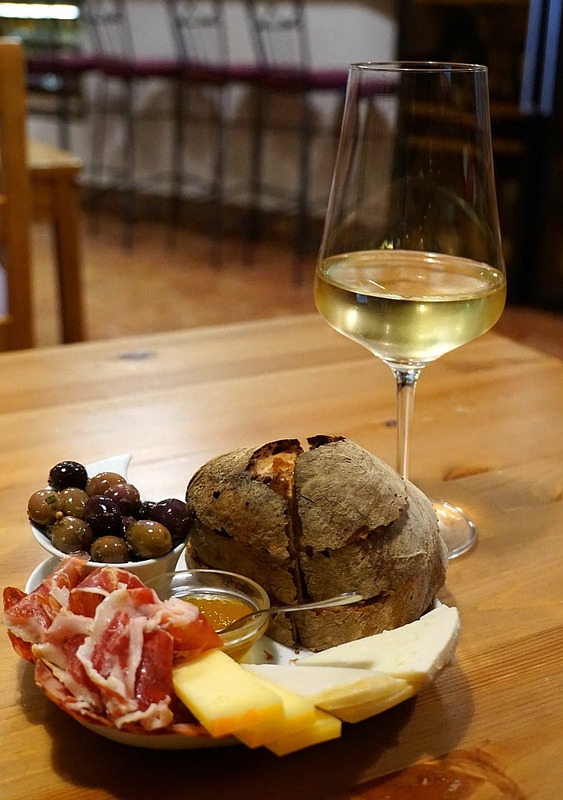 Then sip away and enjoy one of their charcuterie plates featuring local cheese, cured meats, olives and jams. While the Castilo Wine Bar is one of our favorites, there are other places in Lisbon to get a taste of the grape. Here’s our list of other places that offer wine tasting in Lisbon. Cheers! Fado is traditional Portuguese folk music with roots that span back to the 1800’s. Even without understanding the words, the themes of the songs evoke feelings of loss and longing. There are many places in Lisbon that put on Fado shows, but the best way to enjoy the music may just to be follow your ear on an evening walk and find a small locals bar. Losing yourself both in the back streets of Lisbon and in the sultry music is a perfect experience you shouldn’t leave Lisbon without collecting for yourself. 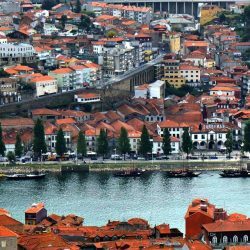 There are several miradouros (view points) throughout Lisbon where you can enjoy a view of the red-roofed buildings and the Tagus River. To get there, you can hike up the hills, ride the cable car or take a colorful tuk-tuk. Any choice is an adventure in itself. The ancient church remains standing as a tribute to the people that died there during the massive earthquake in 1755. The quake and subsequent tsunami occurred during a holy day, All Saints Day. 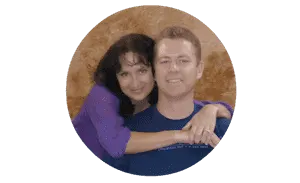 Had many been in their homes rather than in massive churches their lives may have been spared. Stories report that the 8.5 – 9.0 quake lasted anywhere from 6 to 9 minutes. Besides damage to buildings there were fires throughout the city, much of them the result of candles burning in the homes of Christians while they were worshiping in church. Homes of non-Christians were not damaged to the same extent, shaking the faith of the nation at the time. They questioned “why God would spare the brothels and not the churches?” The city that had been reputed as the wealthiest and most beautiful in Europe was on its knees for years afterward, and this church is a reminder of that terrible time. Igreja de Sí£o Domingos is known as the “burned church” or “blood red church” due to it’s coppery red interior, covered in blistered plaster and scars from extensive fire damage. 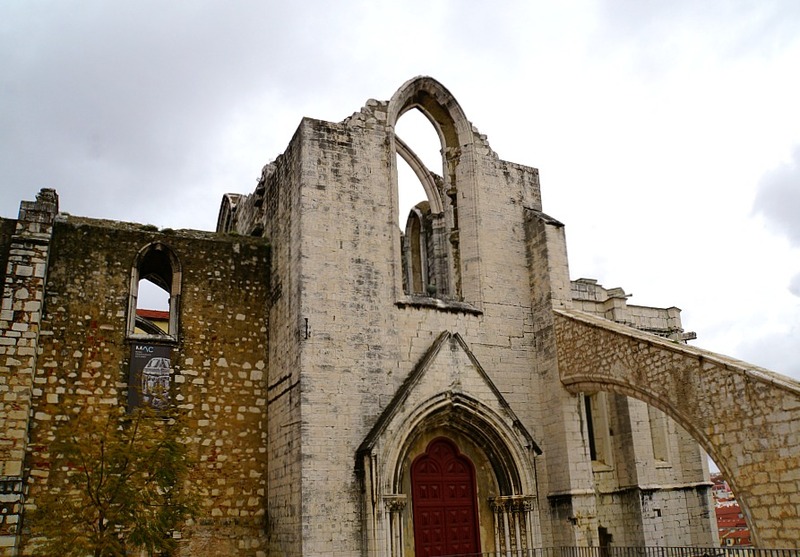 Flames engulfed the church in 1959, but the building additionally sustained damage during earthquakes in 1531 and 1755. The church’s most brutal notation in history is its being the place where the “Easter Massacre” was sparked, resulting in the the slaughter of hundreds of people accused of being Jews. 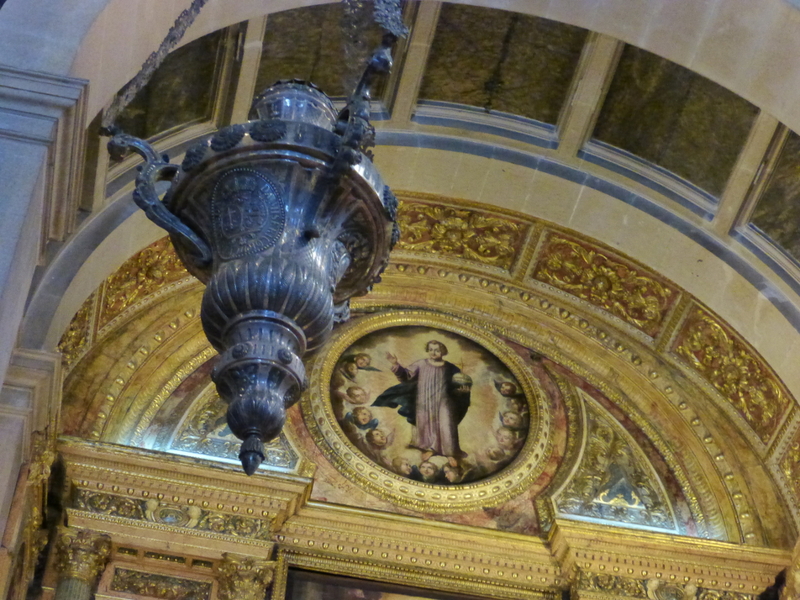 At this time in 1506 (during the time of the inquisitions) a church goer who is now thought to have been viewing a reflection from the stained glass window, insisted that he witnessed a vision of christ. Following this, all those who were judged to be Jews were killed in mass over a thre day period. 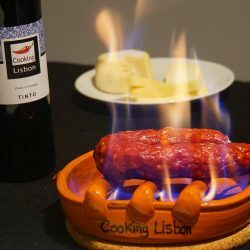 Interestingly during this time (as legend has it) practicing Jews invented the Lisbon’s most beloved sausage, alheira chorizo. Because the sausage is not pork-based, Jews were able to eat it in public to avoid possible detection. Lisbon lies along the Tagus River at the point where it empties into the Atlantic Ocean. There is ample opportunity to take in the scenery from the river from walkways along the banks of the Tagus. 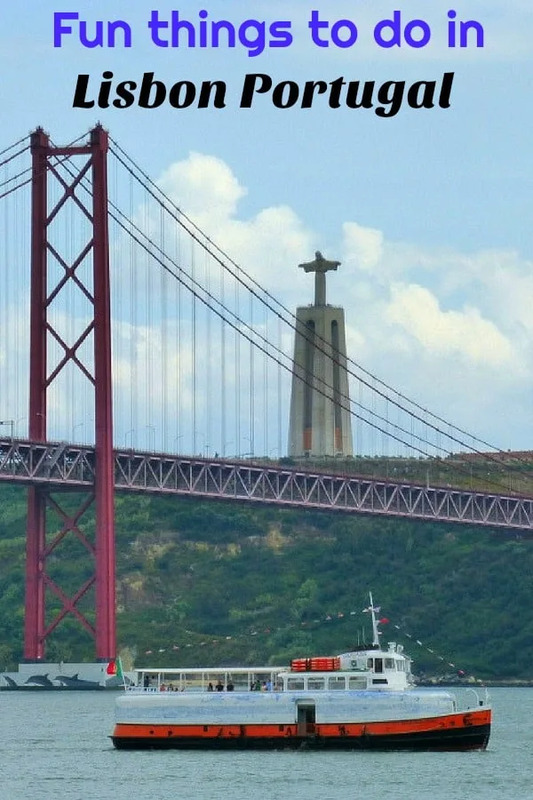 Views include the famed statue Santuário de Cristo Rei on the Almada side of the river, the 25 de Abril Bridge, Belem tower, Padrí£o dos Descobrimentos monument, and thepictuesque Santo Amaro Recreation dock. All these vistas are all accessible along the the waterfront. 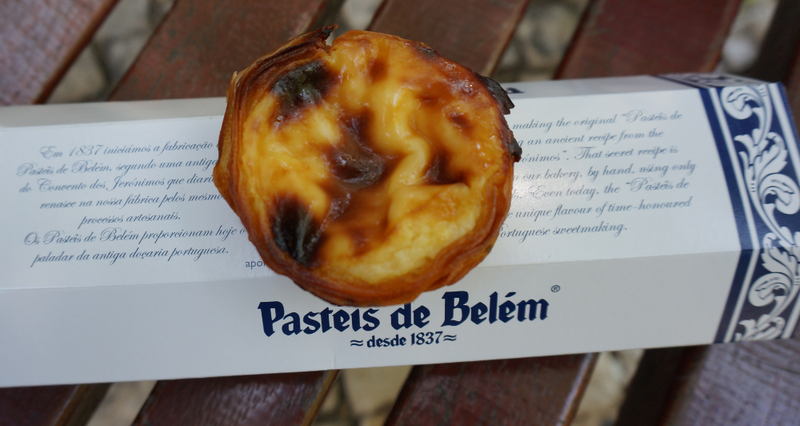 Once in the northern area in the Belem neighborhood, don’s miss an opportunity to visit the majestic Hieronymites Monastary or take try Lisbon’s favorite dessert, pasteis de belem, at the place of their invention. 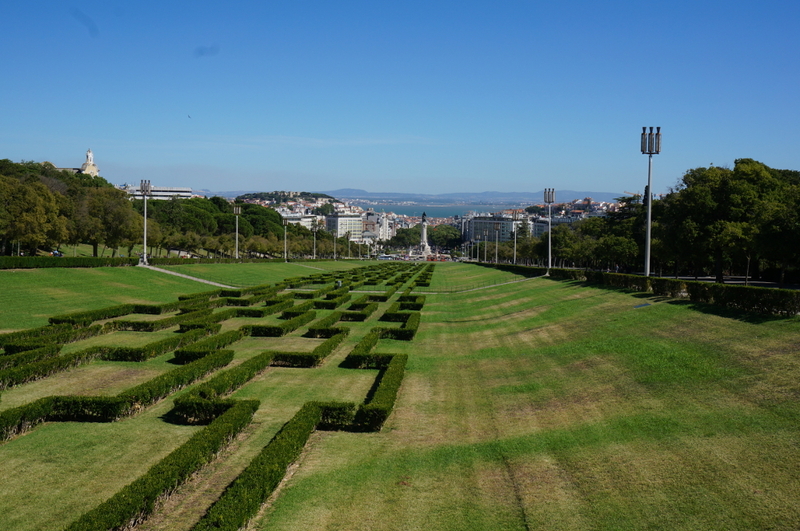 Here’s our full article about Things to do Along the Waterfront in Lisbon. 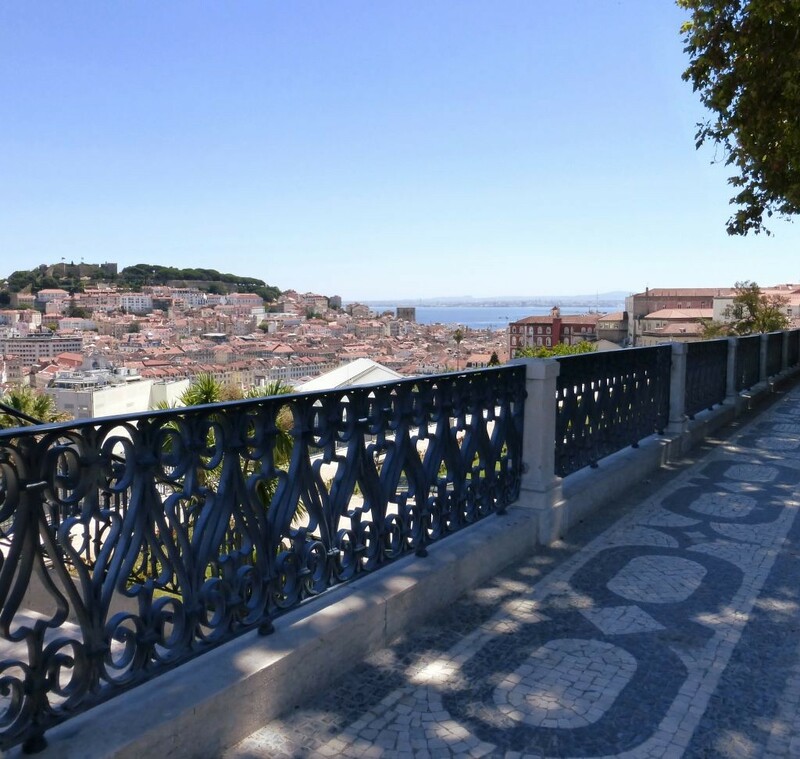 The Alfama neighborhood climbs up the hill toward the Sao Jorge Castello in Lisbon’s historic center. This quiet area, with its steep narrow steps, is a place where a new visitor is likely to get lost, and enjoy it all the more because of it. Neighbors talking to each other across the street from the windows above, children playing in tiny courtyards, and people grilling outside their homes on the weekend are common sights. It turns the neighborhood into one big block party, which is fun to witness. It’s nice to know that such places still exist, and to be part of it for a minute in time. One of my favorite things in the are is to come across the occasional wall plaque memorializing a cherished neighbor of the past. 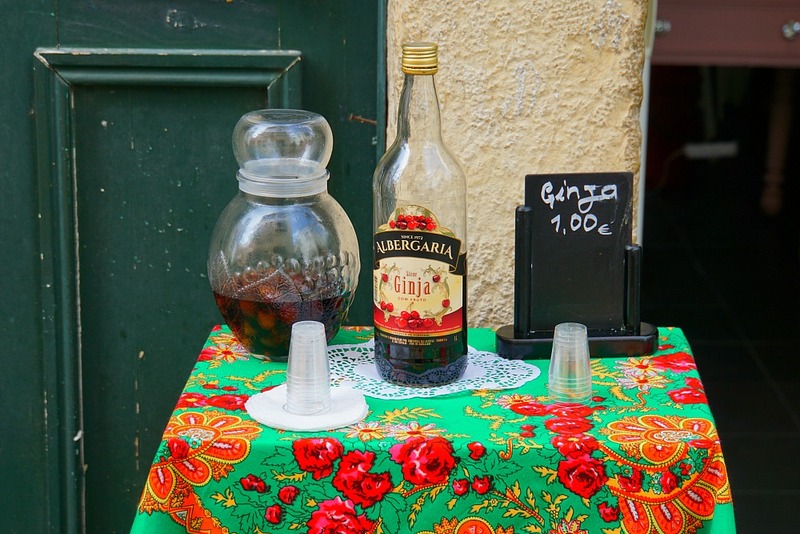 Another is running into a family selling home made ginja (sour cherry liqueur) from their doorway or window. You must try it! Hint – upgrade and opt for the chocolate cup to drink it from for an extra half euro, it’s well worth it. 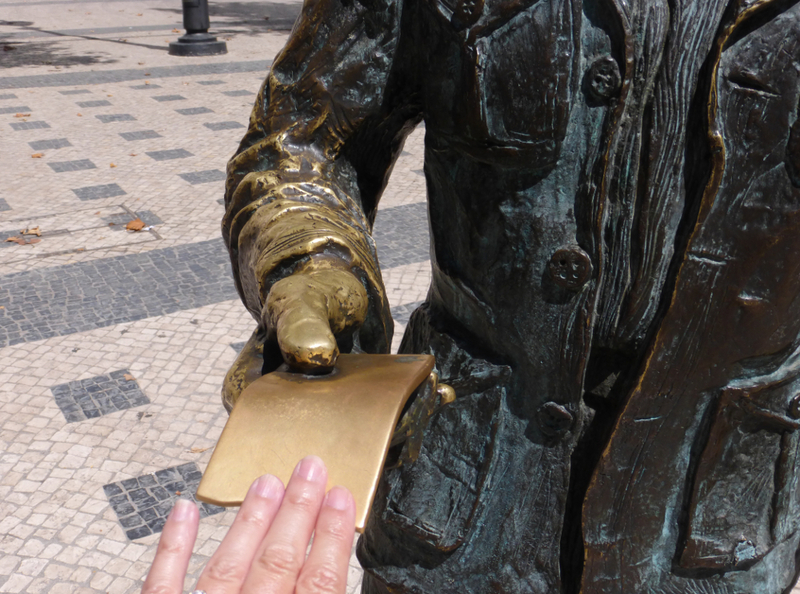 On the Largo Trindade Coelho Square you will find the bronze statue of a man holding a ticket. The bronze statue is actually giving a nod to lottery ticket vendors, who still roam the streets shouting out their offer to provide you with a ticket to your potential fortune. You can see the ticket in his hand is the shiniest part of the statue, from people going by and rubbing it for luck. Go ahead and give it a try – you never know. Who Couldn’t Use a Little Luck? The thought of canned fish may elicit memories of oily tasteless sardines for many. 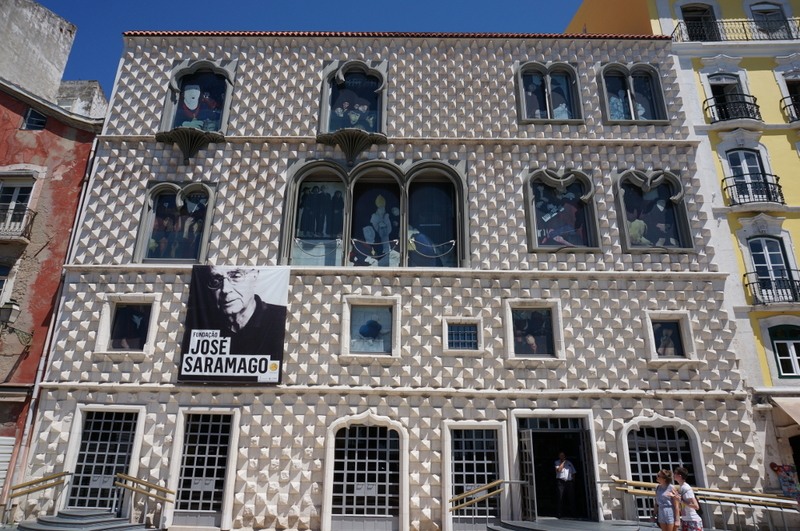 Lisbon, however, has elevated the product to something quite different. Canning fish has been practiced in Lisbon since 1853. 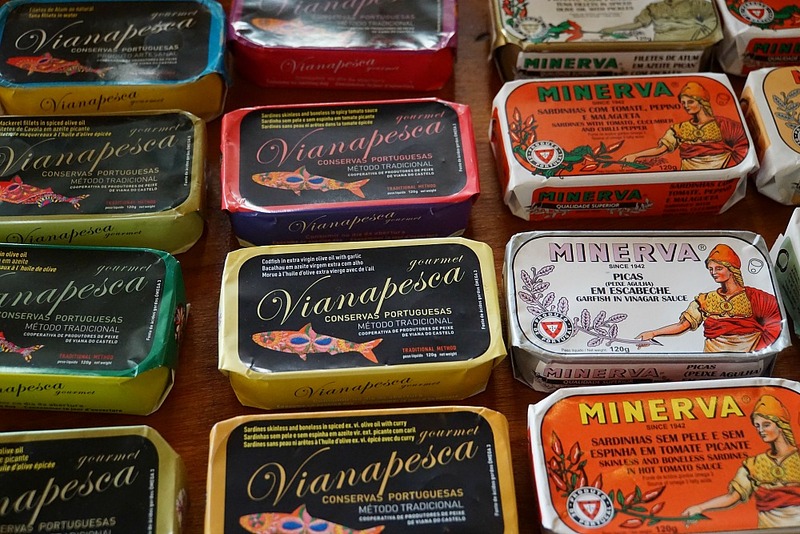 There are now whole stores devoted to the sale of nothing but gourmet quality tinned fish. Tuna, Octopus, eel, mackerel, and of course anchovies are popular choices. Each can is expertly packed, seasoned, sauced or oiled and ready to take home where it can be enjoyed, or stored and forgotten about for many years to come. Next to the statue of the lottery vendor is a church with an unassuming exterior. 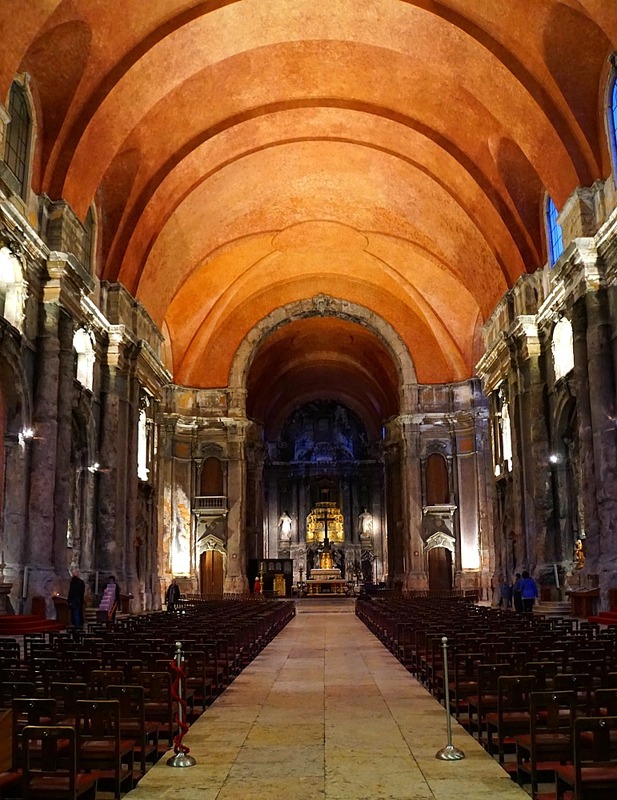 But set foot inside Sao Roque and you will be rewarded with an astonishing beautiful church with gold colored fixtures adorned with precious stones and bright paintings. The church was built in 1574 and spared by the earthquake in 1755. 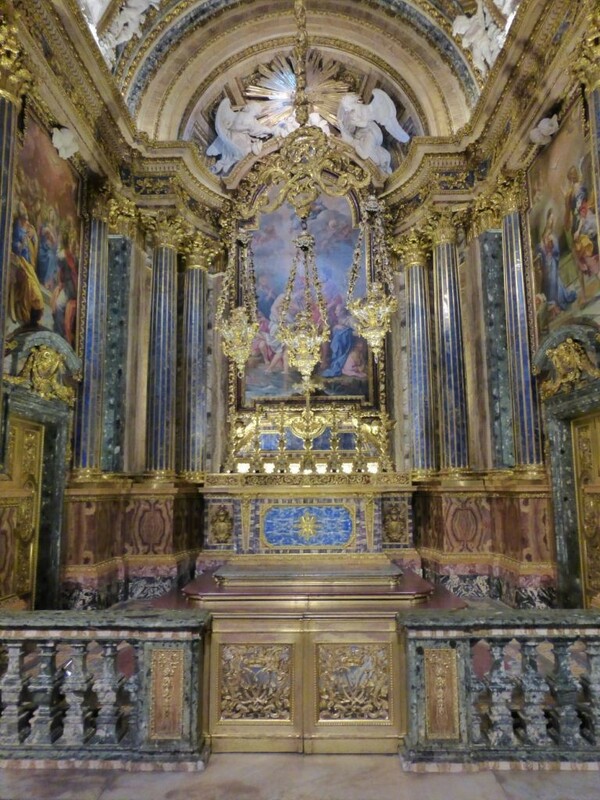 The chapel to the left of the alter, a shrine to St. John the Baptist, is most elaborate and is reputed as “the most expensive chapel in Europe.” It was actually built in Rome and transported using 3 ships to Portugal in the 18th century. Portugal is the world’s #1 producer of cork. 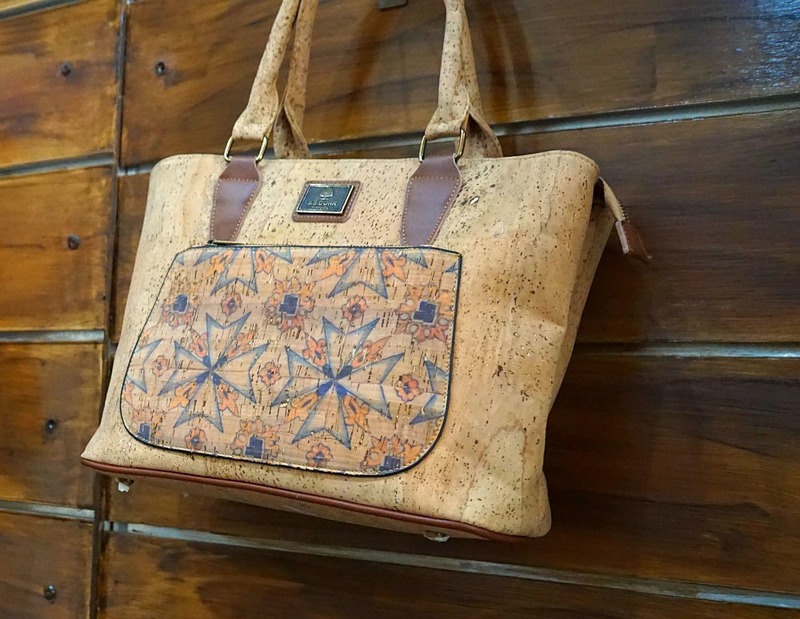 The product is actually made from the bark of the Quercus suber (Cork Oak) tree. Because the bark can be harvested, the trees are not harmed in the process and therefore the practice is considered sustainable. While most of us think of cork as a natural wine bottle stopper, the product is actually quite durable, so much so that canbe used as a flooring material. There are plenty of shops in Lisbon who specialize in all sorts of cork products, so finding that perfect, lightweight souvenir to bring home, is easy and guilt-free! There are restaurants that spill out onto the street around every corner. 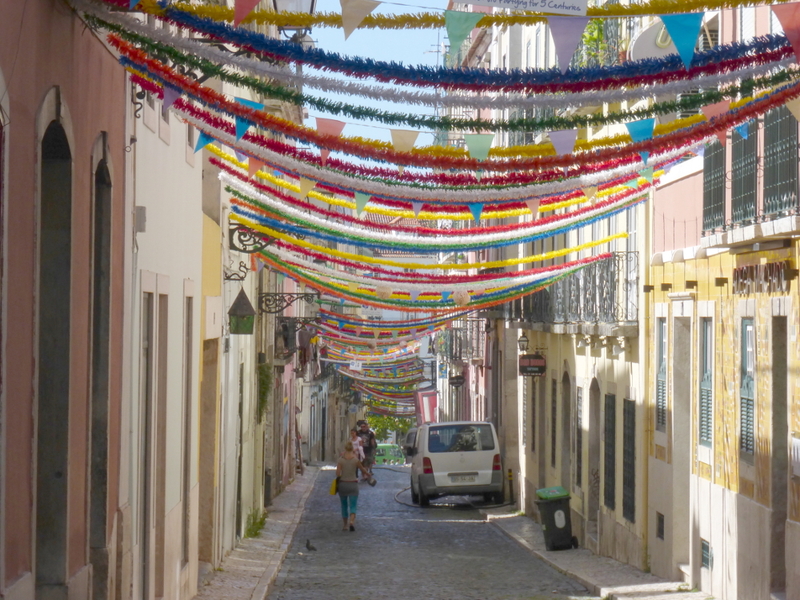 Some popular choices are in the Alfama neighborhood, Lisbon’s oldest and most picturesque. The restaurants there are know for their specialty of grilled fish. You can dine there next to the Casa Dos Bico with it’s interesting pointed stone exterior. This free park runs through the city center. The park stretches up a hill and features a box hedge pattern in the middle surrounded by large sidewalks on either side in the characteristic black and white mosaic pattern. And don’t miss the stunning view of the Tagus River from the top. Taking a cooking class in a new city is a fantastic intimate way of being introduced to a new culture. The chefs will clearly be passionate about food and will be able to explain how the cuisine has evolved, and where to find the best artisan products or dishes in the city. Many cooking classes actually start with a market tour and often end with a wine tasting to go with whatever has been produced during the class. We had a wonderful experience in Portugal with Cooking Lisbon. 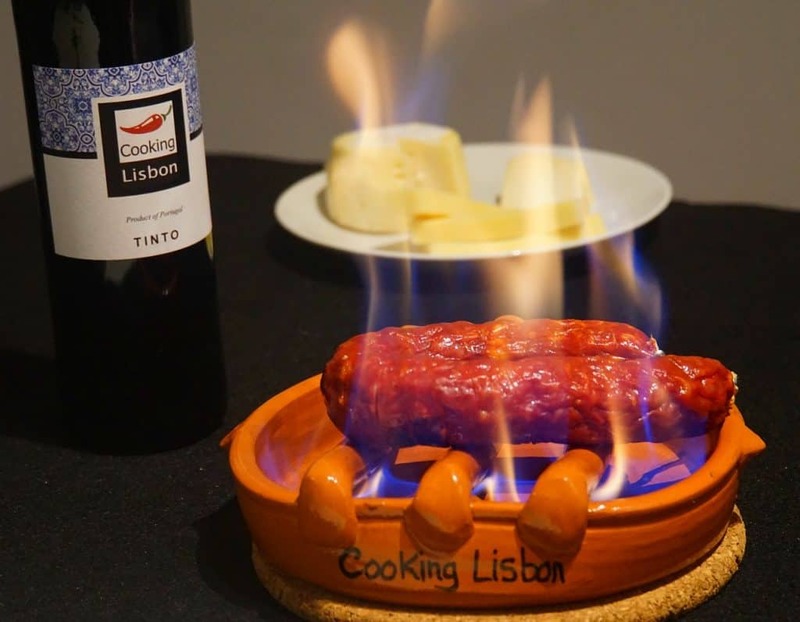 They will help even the novice cook create mouthwatering dishes, and, in our case, give one of our best experiences during our stay in Lisbon. 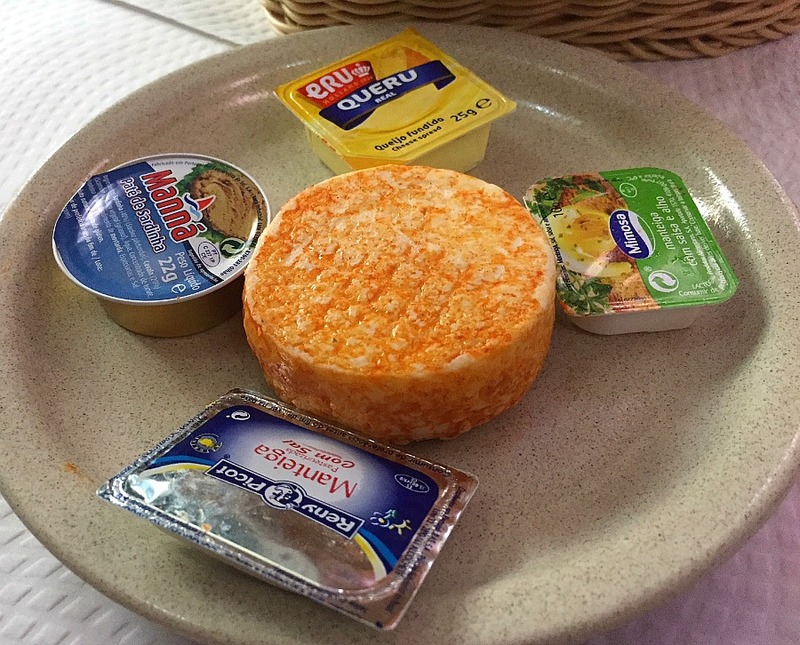 This impressive museum displays a portion of the impressive private collection of Calouste Gilbenkian, who during his lifetime was one of the world’s wealthiest men. 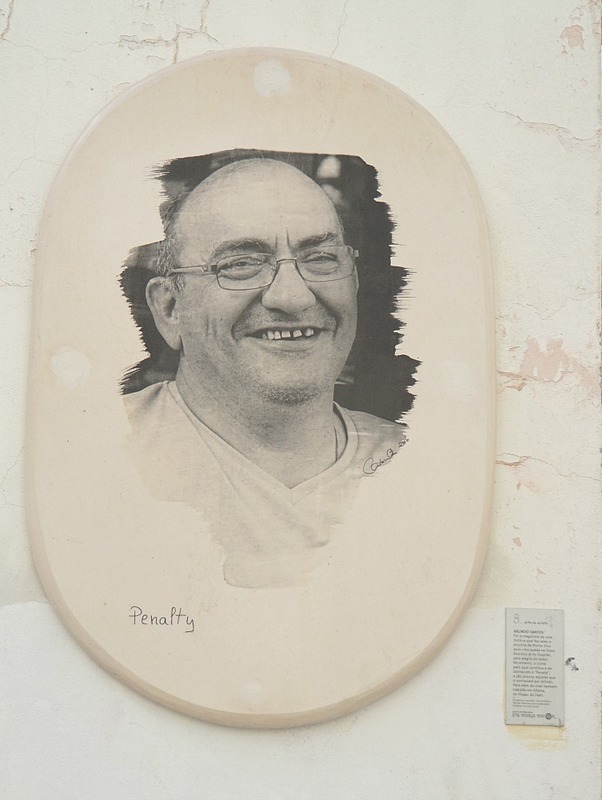 Upon his passing in 1955 the art collection was given to a trust who now display the sculptures, paintings, pottery, silver and other items that he amassed. The grounds on which the museum sits is also impressive. Its ponds and landscaped walkways are a favorite place for people to come and relax in the shade. 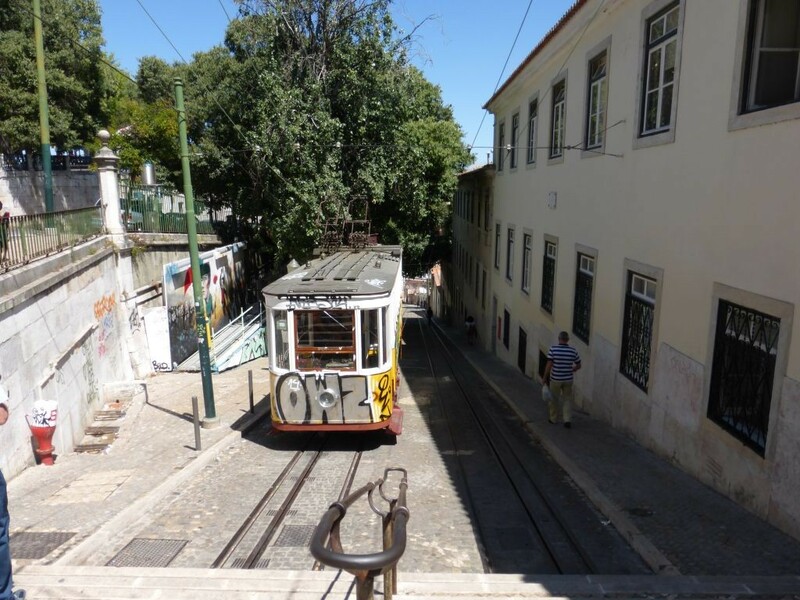 A snapshot of the trolley churning by on its way up or down or around one of Lisbon’s seven hills is one of the most coveted souvenir photos for Lisbon visitors. Getting that picture is relatively easy as there are ample trolley cars perusing the city. An actual ride on the trolley itself can prove to be more of a challenge. Many are older and the ride can be bumpy and crowded, particularly in peak season. The density of tourists aboard can also attract pick-pockets. It is best to snag a ride early in the day when the trams are less packed. The most popular ride is Tram 28, which travels through areas with the most popular tourist attractions. 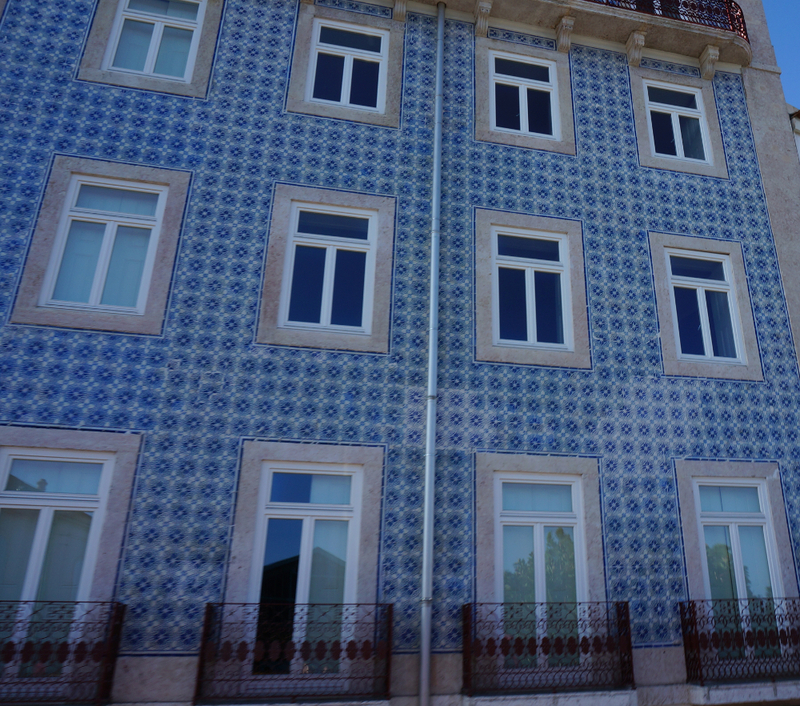 It shouldn’t be difficult – the tiles (azulejos) are iconic in Portugal. They first came into use in the 1500s as a way to show off wealth. What could be more decadent the adoring the entire exterior of your home with imported tile? 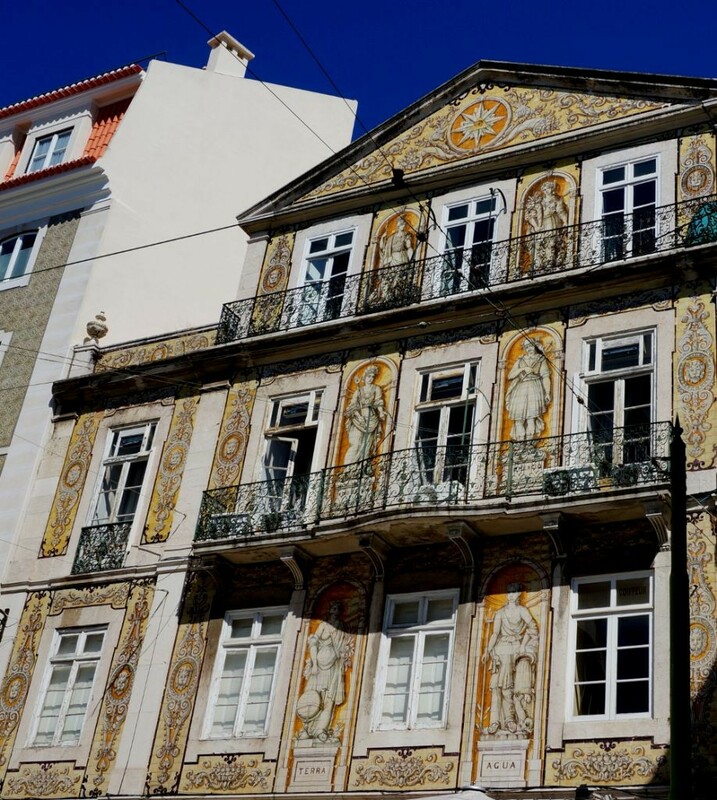 The technique of glazing tiles originated in Egypt but was embraced by the Portuguese, who remain dedicated to their use as you can easily see while wandering the streets. You could even think about buying a house in Portugal yourself. 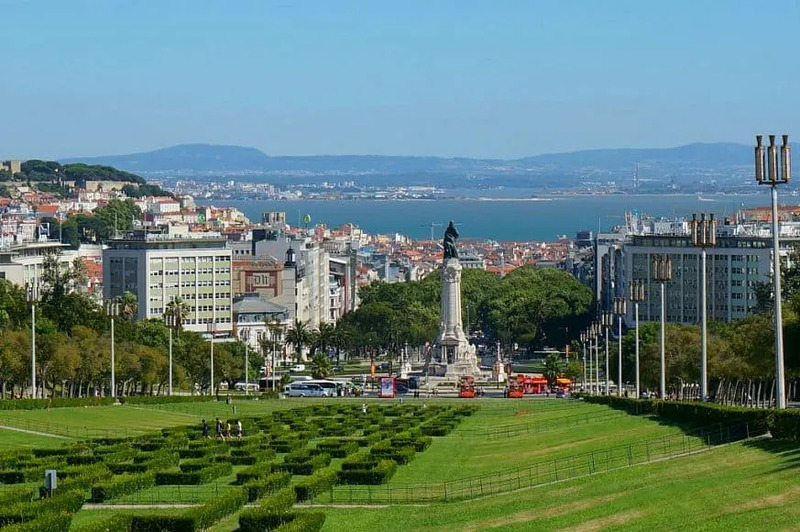 While Lisbon itself has more than enough to offer visitors, those who have more time or, like us, enjoy Lisbon enough to return again and again, can find wonderful adventures within a short distance of the historic city center. 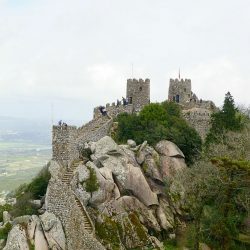 Sandy beaches, nature preserves, medieval castles with hidden passageways, and a chilling tour through a macabre church covered in human remains, are all accessible within a short train ride from Lisbon. 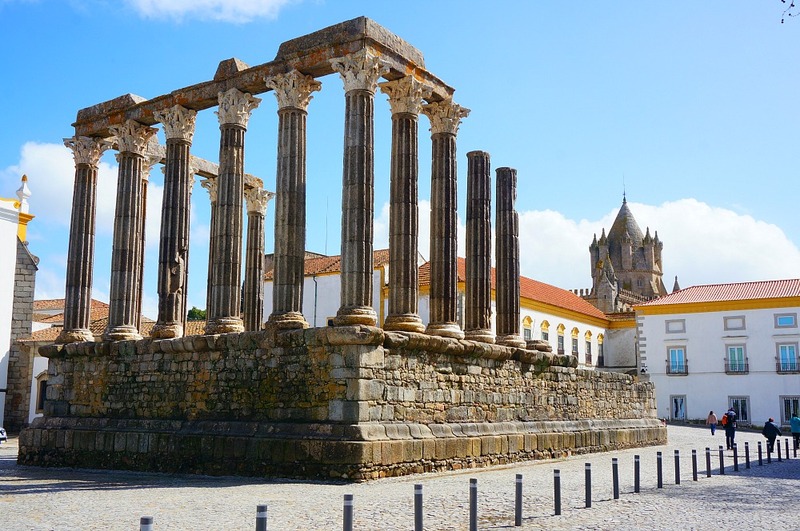 There are also a few destinations, such as the rugged coast of Lagos or wineries of Porto that require more of an overnight stay but are well worth it for those with time in their itinerary. 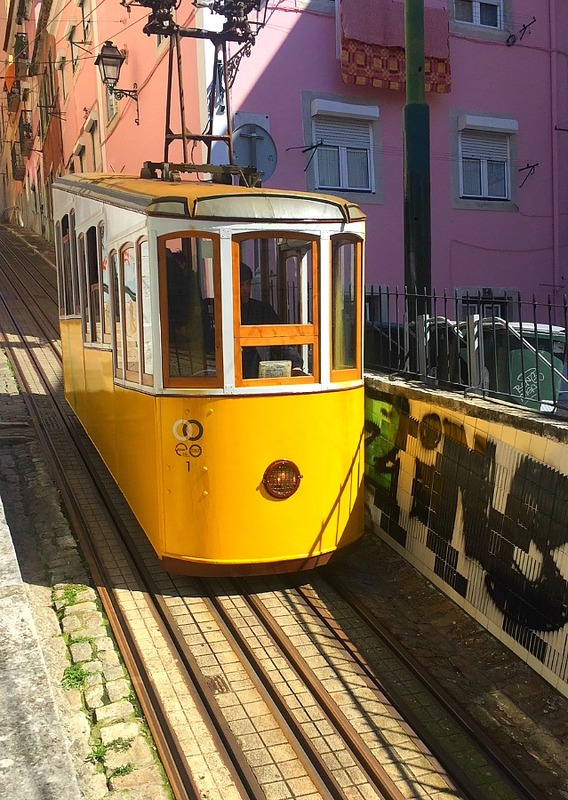 Here are our picks for the best day trips and overnight excursions from Lisbon to provide temptation for planning a longer stay. 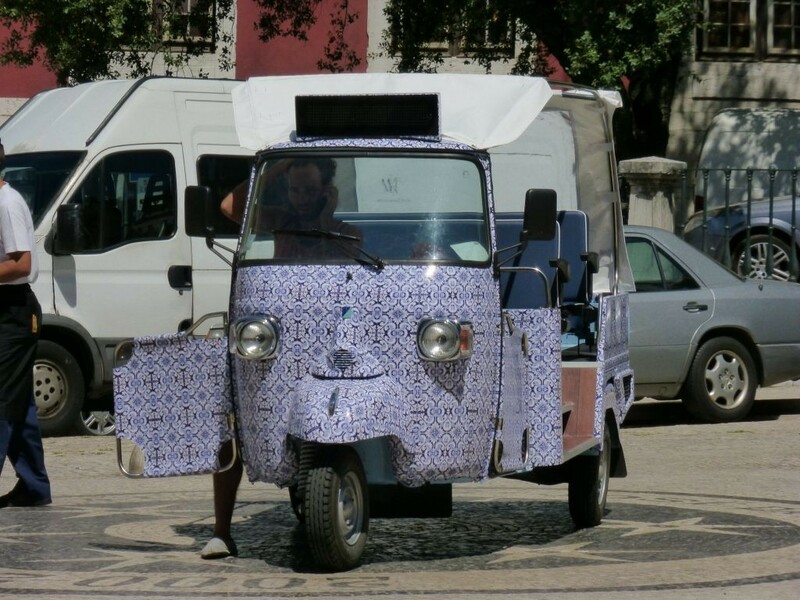 Lisbon, like many popular cities, has the option of taking a hop on/hop off tour. We’ve all seen the open double-decker buses filled with headphone wearing tourists. 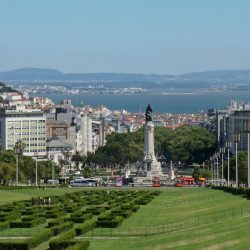 The experience varies greatly in each city, but I can say that taking a hop on hop off tour in Lisbon is actually a good option (particularly during the off season when traffic is less congested). They cover lots of ground and are a good way to see a lot of attractions, particularly for those with limited time. There are also walking tours of the historic center for those who don’t mind walking (understanding there will be hills involved. Our favorite walking tour is with Chill Out Free Tours. They were the original guides in the area before other international brands moved in, and are always lead by locals. 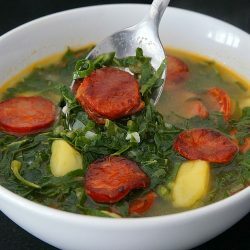 Related Posts About Travel and Cuisine in Portugal That You Might Enjoy! Haven’t decided where to travel in Europe? Here’s our take on a few more European destinations to consider. Happy Travels!